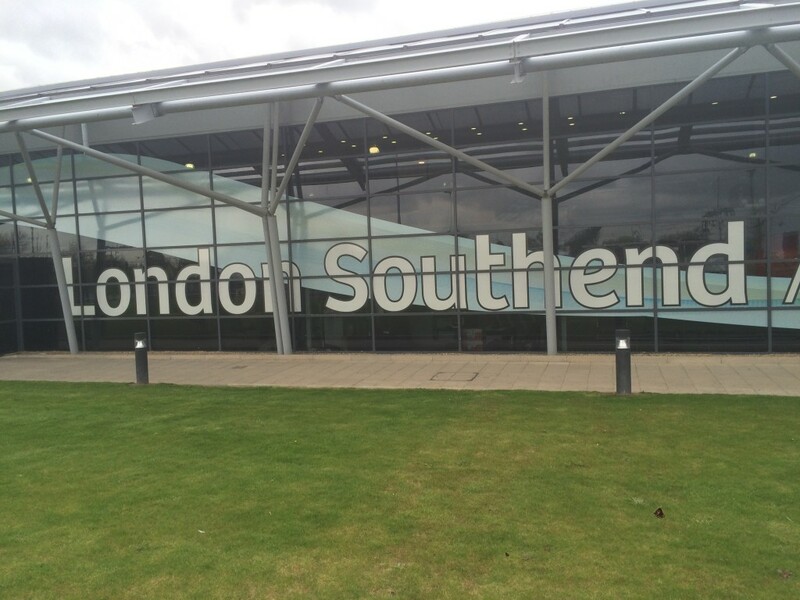 My day out at London Southend Airport! 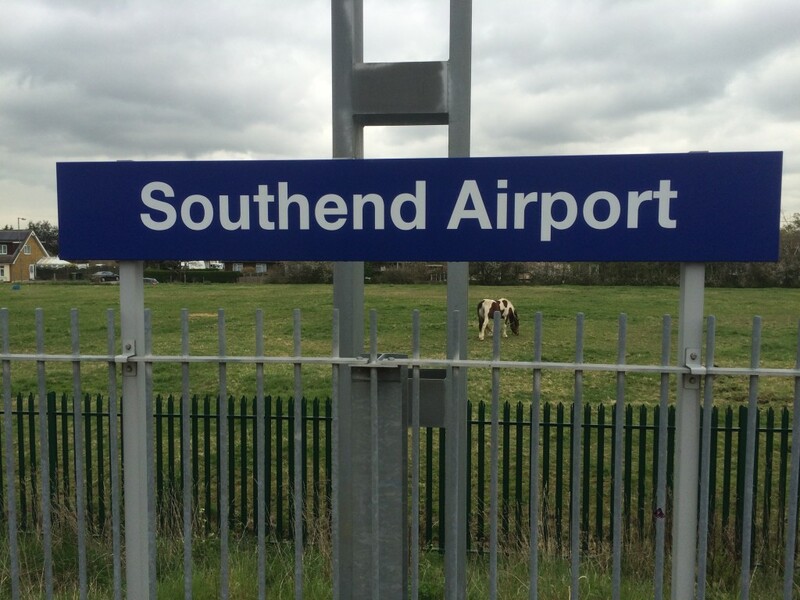 Back in the 1960s, apparently, Southend was London’s official ‘third airport’. The growth of Stansted sidelined it until 2008 when it was purchased by the Stobart Group. They have added a new terminal, a new control building, extended the runway and – most importantly – added a railway station. Services have now been running for four years. I had been keen to take a look for some time and finally decided to give it a go. There were two ways of doing this. 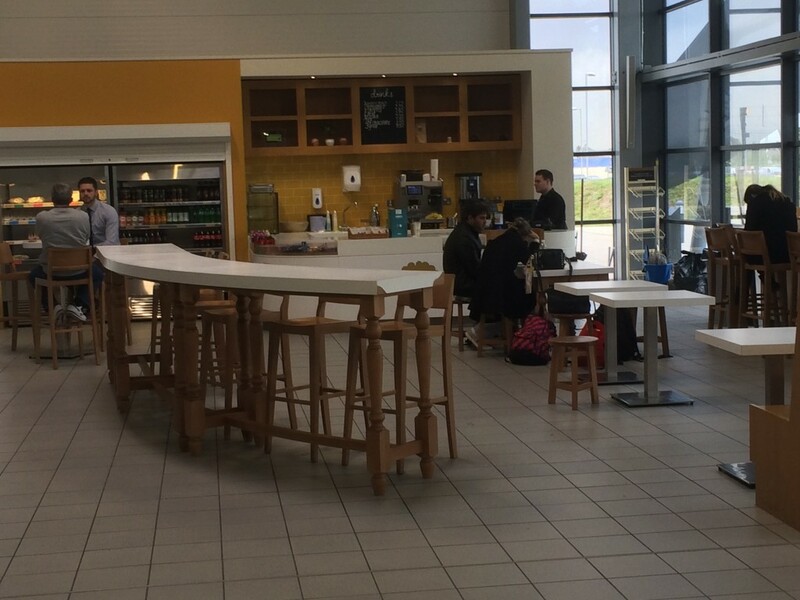 One was to start a lengthy dialogue about arranging access with the PR team at the airport which would have gone on for weeks, including the issues involved in getting me an airside pass. The second option was to pay £37 for a one-way easyJet flight to Paris, returning on a BA Avios redemption to Heathrow. I went for Plan B. 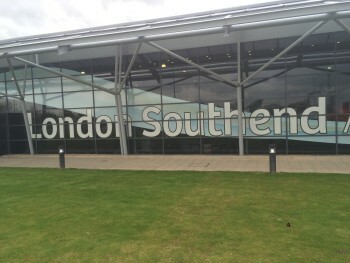 Trains to Southend Airport run from London Liverpool Street, stopping also at Stratford. It takes roughly 50 minutes which is only marginally longer than Stansted Express. 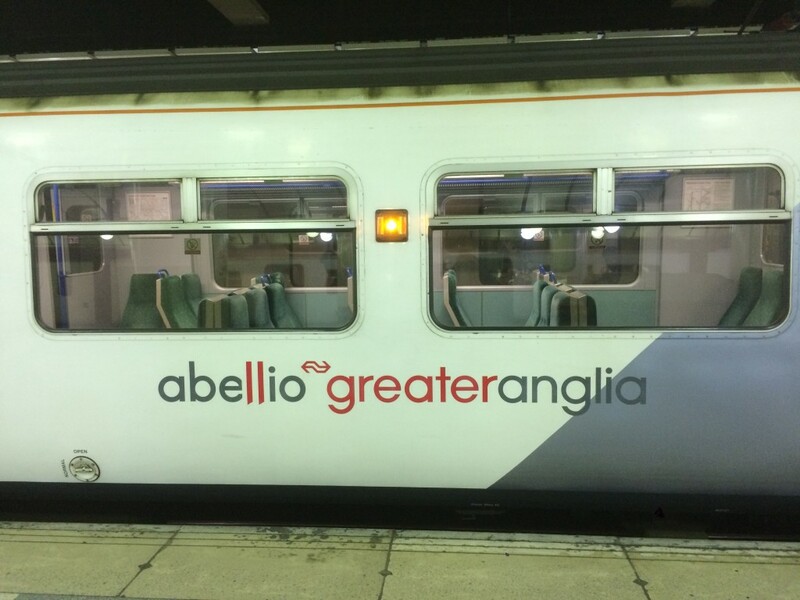 There are 4+ trains per hour, which means the service is also more frequent that Stansted Express. A one way ticket was £16.80 and I got an entire Standard Class carriage to myself. Note the horse in the photo below. You don’t get that at Heathrow. It takes literally 60 seconds to get from the platform to the terminal building. It is even quicker than Southampton Airport. In terms of easy access you really can’t get better. As a new station, it is also equipped with decent lifts. Security was empty with just four people ahead of me. However, it still took around 10 minutes to get through due to a couple of numpty passengers ahead of me. 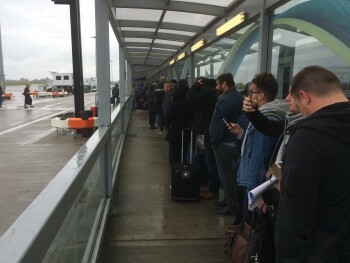 The security staff were being a little aggressive given the modest number of passengers and the fact that no flights were departing for over an hour. Slightly worryingly, I walked through the metal detector with a pocket full of coins and it didn’t go off. 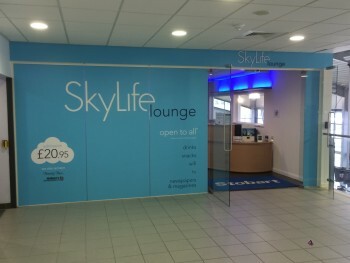 I headed back up the stairs to the SkyLife Lounge where I used my Priority Pass to gain access. It is not a Lounge Club member unfortunately. Given that I was the only guest, it was perfectly big enough! I was there for the end of breakfast, which meant a box of cereal, yoghurt, porridge, pastries and mini-muffins. The cereal was replaced by bags of crisps whilst I was there. No fresh food appeared but the receptionist came round and offered me a sandwich – unfortunately I was about to leave at that point. There is plenty to drink, especially spirits. You don’t see them in the picture as they only appeared when breakfast was cleared. There was a bottle of red wine open but no white to be seen. And that was that. The only thing that ruined the experience was the boarding process for my easyJet flight. Monday was a cold and rainy day but, after our boarding passes were checked at the gate, we were sent outside and made to queue up on the tarmac. We were technically under cover but the wind was blowing the rain at me for around 10 minutes. I can’t complain about easyJet, who do what they do very well. I had seat 1C, prebooked at an extra charge, and the rest of the row was empty. There is no bulkhead as there was no wardrobe so I had all the legroom in the world. £6.50 got me a hot bacon baguette – albeit a little soggy – plus a coffee and free KitKat as I appeared to have triggered a ‘meal deal’ with the first two items. As far as I’m concerned, the quicker BA launches ‘buy on board’ in short haul Economy the better. Southend Airport is a great little facility. If you have easy access to Stratford or Liverpool Street then it is incredibly easy to access. With just one departure per hour on average, it is never going to be overcrowded. 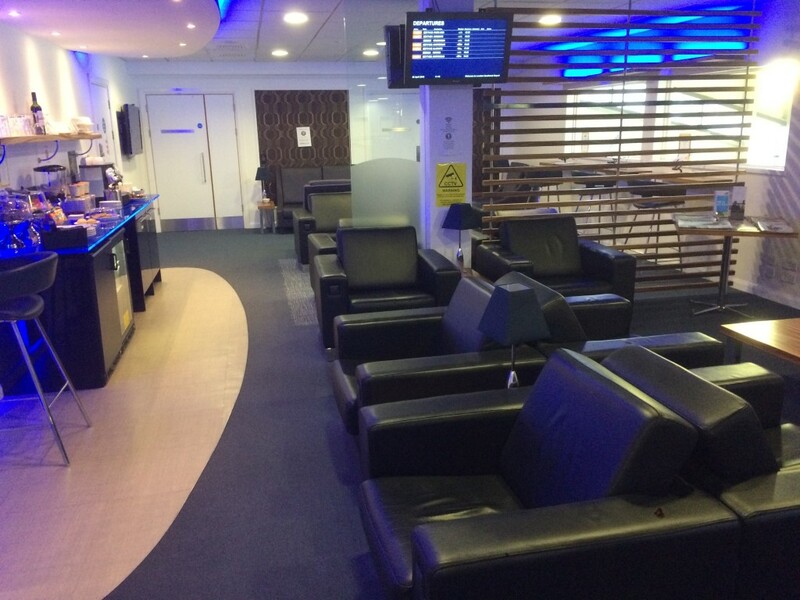 The fact that it has a perfectly acceptable Priority Pass lounge as well is an added bonus. 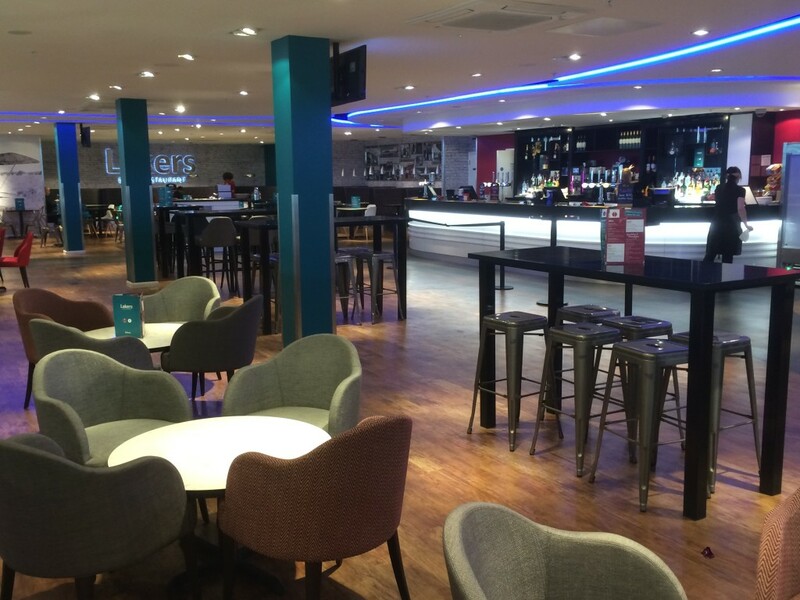 I am surprised that it is not with Lounge Club too as it is not exactly overcrowded. If you have the chance to choose it for a short-break at some point I am happy to recommend it. Review of the SLS Hotel at Beverly Hills - a good LA redemption with no car? No views of the Vulcan from the terminal or station? I know if you ride it one more stop you get some of the best views of her. You can’t see the Vulcan from the Terminal but you can whilst on the train before arriving at the airport. 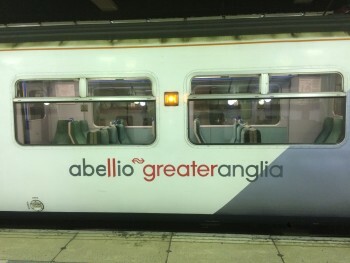 It’s on the right just before pulling in if you are travelling from London. You can also see it to the right when you cross the Tarmac to board once they release you from the stupid outside holding pen! I used the car park when I went and you could see it from there. The gate staff on my easyjet flight seemed pretty good at knowing who would and wouldn’t fit in the size gauge. I was about to put mine in like everyone before me and she said not to bother as she could tell it was ok. Slight correction raffles! Outside of peak hours there are 3 trains an hour each way, less on Sunday’s. Peak time in the week has more trains but they get very crowded. If you’re planning on taking the train at the weekend check ahead for engineering works as part of the route (shenfield to Liverpool st) is being upgraded for Crossrail and so far this year that part of the route has been closed at weekends quite frequently. The diversion typically involves a tedious bus ride Billericay-Newbury Park then a trundle to Liverpool Street on the central line. The works may be getting more infrequent as we hit summer but do plan ahead! My comment is about the 4+ trains an hour from London at the start of the article which is not correct for most of the day. More important is my other comment on engineering works though – that can easily more than double the journey time at weekends! You can get the C2C line from Fenchurch Street into Southend Central when there’s engineering work on, walk 10 minutes up the road to Southend Vic and then do the 5 minute hop to Southend Airport. Or you could grab a taxi from the station – it’s only a ten minute drive, if that. I do like the horse! Thanks for the detailed and evocative report; which reminded me that my most comfortable short-haul flight ever was SEN-OST on a Viscount leased to Virgin in the early1980’s. Admittedly, the trip from London to Rochford (as it was known) took twice as long as the flight – but it was worth it! There is short and long term car parking that you can prepay from online. It supposed to read your number plate but it had issues with ours and we had to call. Not fun late at night. @Alistair. Your memory is playing tricks on you. It’s a brand new railway station, funded by Stobart. Another detail. Beware very early / late flights, as the rail timetable doesn’t cater for these. The timetable is wholly focused on commuters into London, not traffic going the other way. You’re thinking of Prittlewell. It used to be the station for the airport before the new one was built. There is a national express coach link now that connects from London with the very early / very late flights but very painful timings! We flew from there back home to BCN one summer. It was the predictable drunk TOWIE-wannabe mess. Hardly recognise your experience. A fair review of a plan C airport. Have used it last minute before when it’s been way cheaper than Heathrow, Gatwick or City. Couldn’t disagree more about BA charging for food and drink in short haul – it’s one of the few things that sets them apart and should be lost at their peril. That said, they could be clearer about what you will get on their app for instance, as it can really vary by route and time of day. I think BA should continue serving ‘complimentary’ food on SH but be much clearer about what you’ll get. A sandwich back from Moscow IMO is not on. I’m with raffles on this one. On our most recent BA short haul(AGA-LHR) we were given a felafel wrap(no choice) and had to prise a drink from the crew to wash the thing down! Easyjet do what they do well. I can’t believe I’m about to say this, but on EDI-LGW, I’ve started to favour EasyJet specifically because of the food. I normally fly late morning, and the £6.50 offer with their “deli box” gets you a proper lunchtime spread – in fact I usually end up taking something away with me for later, and I am not known for my restrained appetite. On BA I’d get a little packet of pretzels or whatever, so I’d end up buying food at the airport which would actually cost me more. Wouldn’t be a fan of that either unless they gave Silver/Gold a free meal deal – would make status more valuable! On SH though if I’ve had time to pop into the lounge I often just decline the offered food/drink anyway! I remember when BMI did this – reducing free food to Gold and Silver members. 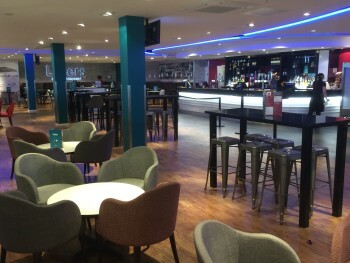 It was very embarrassing to receive free food when a fully flex Y ticket holder had to pay who was sitting beside me had to pay – several occasions it caused vocal complaints. So, I would not like to see free food only for us silver/gold card holders. You actually only needed “blue plus” to get the free food – one of the very few low-tier benefits that was worth something! As long as you hadn’t foolishly booked their cheapest fares, which were branded “bmibaby” even though that was the name of a notionally separate airline, and meant you didn’t get lounge access no matter what the colour of your card. On balance, I don’t miss BMI. Agreed – my experiences of the EasyKiosk are very poor. On a 2-hour flight to VLC we didn’t get served until about 20 mins before landing (admittedly in the middle of the plane, but I have never seen a process take as long per customer as this one did). 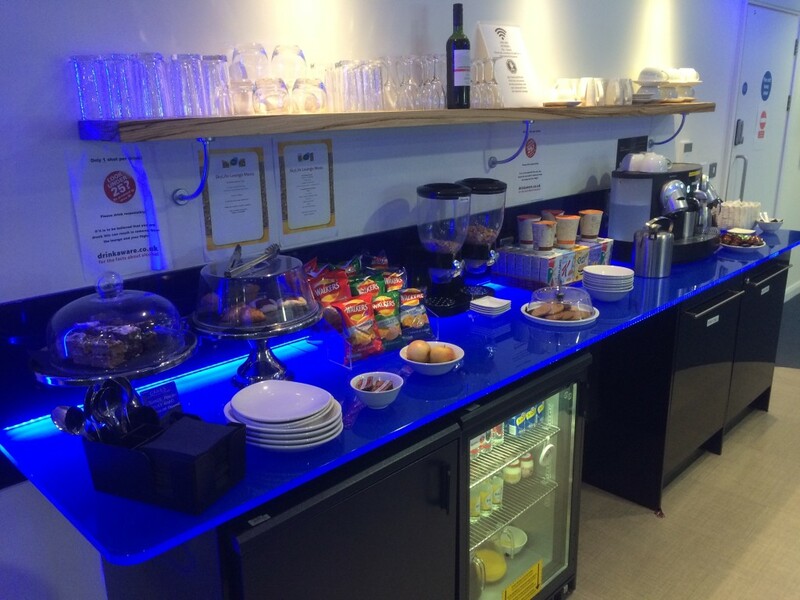 I value highly the speed and efficiency of a BA short-haul trolley run – glass of wine, cup of tea, small snack, done. Taking the money slows it down hugely. Some improvement if they will only take credit cards, but still much slower. And still the same old problems that the most popular snacks disappear first. My wife and I are gluten intolerant and found that the lack of choice on board or ability to ask before hand for a gluten free option on short haul to be a terrible oversight. An extra 25g pack of crisps is NOT a good alterantive, thought the staff did try their best. I’d rather pay less for the ticket on a budget airline and use the extra to buy something I can actually eat without being ill! Bring your own snacks if you have specialised needs. If you’re flying LH, tell them in advance. He’s not blaming other people, he’s pointing out that the “incentive” of free food on BA et al doesn’t work for him – because he can’t eat it, and they don’t make any effort to accommodate that fact. So he’d rather not get the “free” (or rather inclusive) food, and have the money instead. A perfectly valid point I think. I was on medication and couldn’t drink alcohol a couple of years ago, and I remember having the same feeling when they came down the aisle with the G&Ts. I flew a few months ago from South End to Berlin during a weekday. It is a nice little airport with all the advantages of speed etc. We drove and found it very easy to park a short walk from the terminal (though there is poor signage). Worryingly I saw a lot of helicopter training going on from the minute we go there. Helicopters were lifting off, wobbling a lot and going down again before repeating. It looked rather like a drunk was in charge, but assume it was due to the learner driver. Both my companion and I were a little worried by this, and indeed there was a helicopter bouncing up and down near the runway as we taxied to take off. We both remarked that we wouldn’t be surprised if we heard about a helicopter & plane accident in the near future. I really hope not. Those FX spreads are obscene! The worst I have ever seen anywhere. I agree that with obscene – about 20% either side. Almost as bad as I have seen offered by Gatwick Express machines for paying in Euros – forget DCC levels – they were offering 0.70 when the market was 0.85. 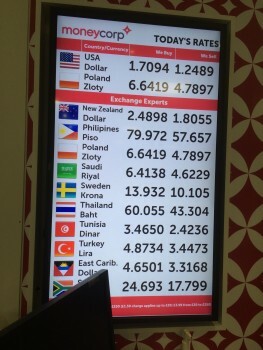 Weirdly, none of the currencies displayed are for destinations one can fly to from Southend – moneycorp presumably select USD and PLN at the top nationally, not per location. 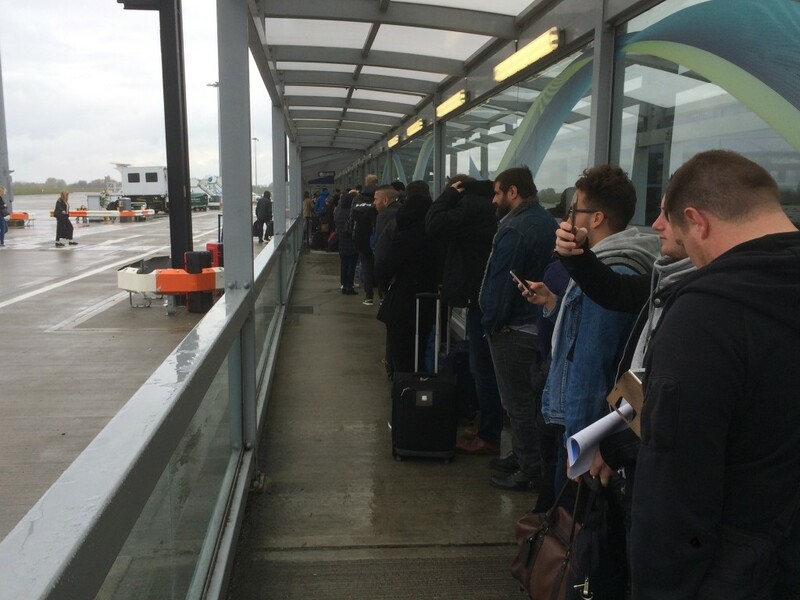 If you had bought an Easyjet Flexi ticket then you could have used Fast Track to avoid the numpties in the security queue. Arguably arrival is even more time-saving – I once did ten minutes from touchdown to train. As with all minor airports routes get added over time but also taken away. Berlin has recently dropped off the list. There was no Fast Track security, only one lane open. 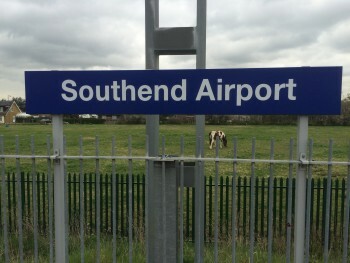 I live in Southend – a ten minute walk from Southend Victoria train station – and have used the airport a couple of times. My record from wheels-down on the runway to sitting on my living room sofa is 30 minutes! It’s lovely to get home so quickly. It’s a shame the flight schedule and destinations aren’t handier – at one point Aer Lingus was flying to Dublin, but that slot got sold to Flybe and then scrapped before I had a chance to try it out. I can’t believe a slot was ‘sold’ given the current one flight per hour! I don’t know the technicalities – sold or traded or leased or whatever. We had I believe around a year of very reasonable Aer Lingus flights to Dublin that allowed you to pre-clear immigration and connect on to US-bound flights, then Flybe took over the route, the prices were jacked up to ridiculous levels (£hundreds each way), and then the route cancelled due to ‘poor demand’. I guess Flybe didn’t want the competition for their flights out of LCY. Is it my imagination or is the non-white colour on the radar sweeper (not shown here) more orangey rather than the normal red? Perhaps influenced by the dominant airline there?? Can you not exchange euros at the airport? 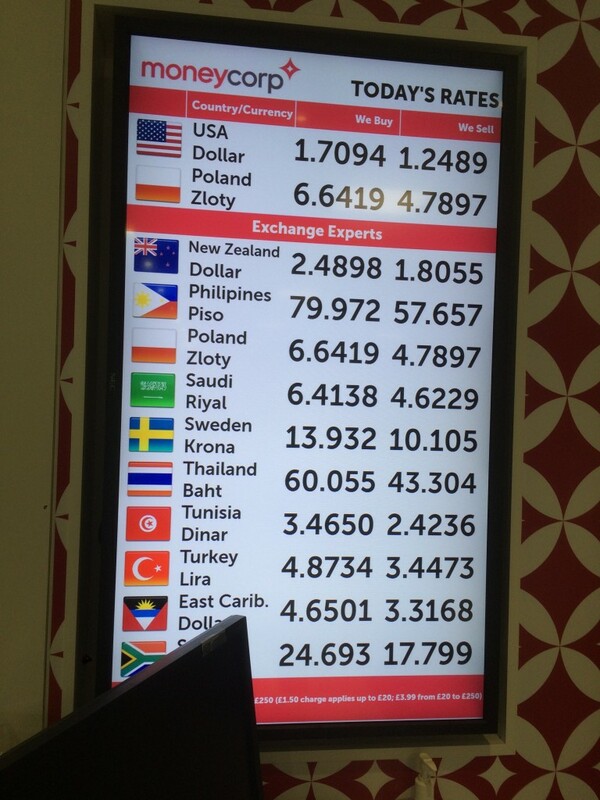 I also wonder if they actually stock some of those obscure currencies in that photo. 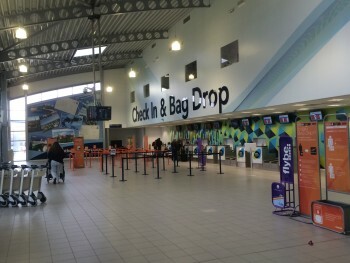 Southend airport doesn’t seem that bad, especially when compared to flying low cost from Luton or Stansted. 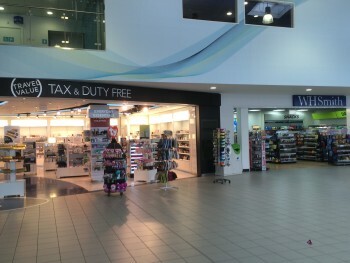 Would give it a try if it was significantly cheaper than the other 3 airports. Luton used to look like that before Easyjet moved in there in a big way. 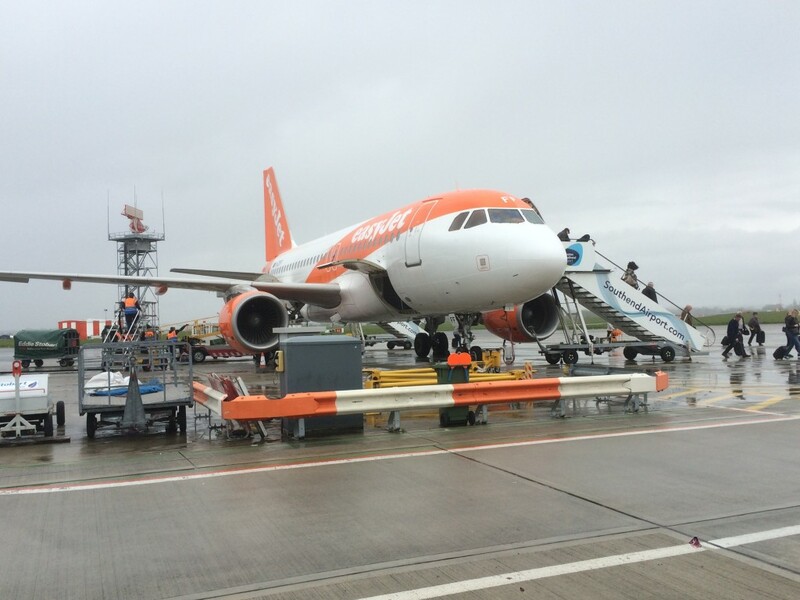 We have used Southend a few times now for flights on Easyjet especially now that Stansted is so busy. It generally works well with good parking and quick access to the terminal and it’s never been overcrowded. However, as you found, security can be very slow also service at the larger cafe rather indifferent – the last time we were there for an early flight wanting some breakfast and at 7am they had run out of most items. Actually Rob, if you get off the main routes to LHR – M4, M25, A4, etc – and on to the smaller surrounding roads, you will be surprised at how rural the area is, and how many horses you will spot enjoying the freedom to roam their pastures. I love Southend. Two minutes walk to the car park and off you go. As one who cannot understand the FF obsession with airports, it is great.